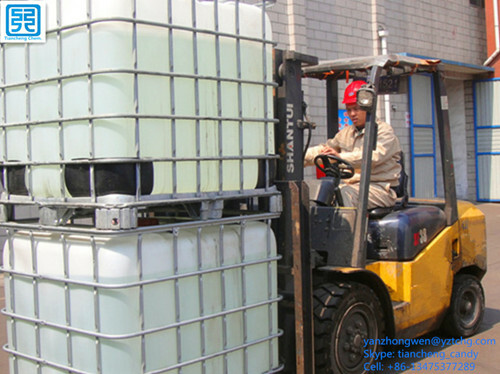 (3-Chloro-2-hydroxypropyltrimethyl) ammonium chloride is a kind of PTAC 1881, belongs to quaternary ammonium salt, which is an important organic synthesis intermediates too. 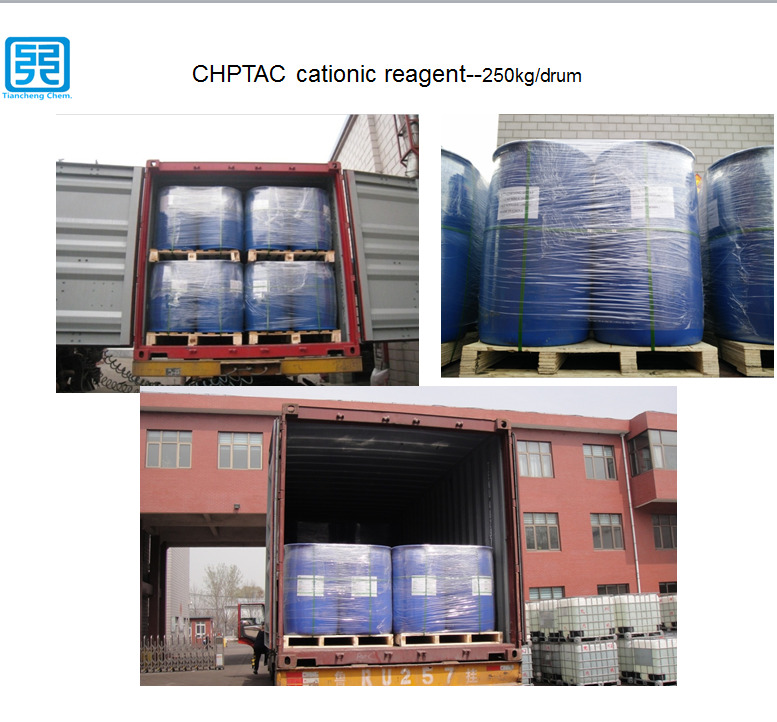 Molecular formula is C6H15NOCL2 and weight is 188.1.Tiancheng is one of the world`s largest manufacturers of Alkyl Ketene Dimer ( AKD Wax ) with 20 years experiences and the largest and best manufacturer of Cationic Reagent (3-Chloro-2-Hydroxypropyltrimethyl Ammonium Chloride/quat 188/CHPTAC), raw material for producing cationic starch in China. 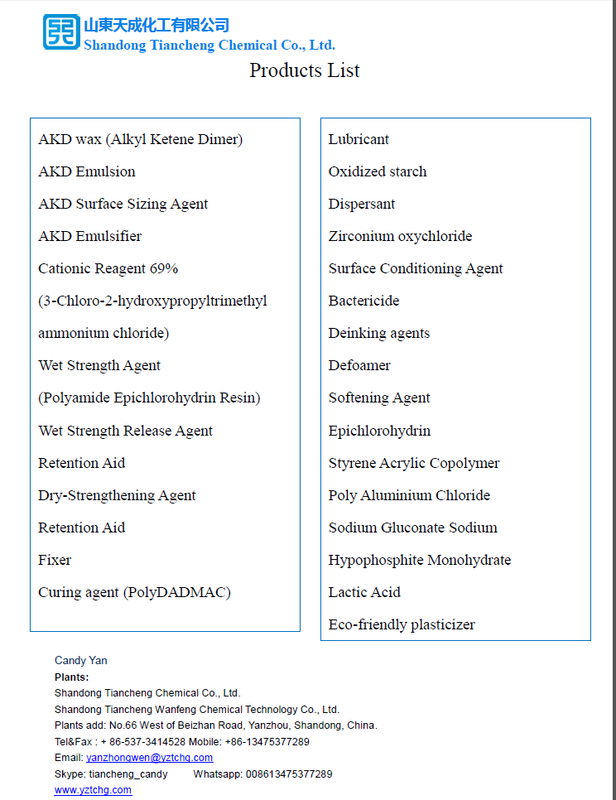 Other featured products:General AKD Emulsifier 25%, Quat 188 69%,Polymer emulsifier 40%, PolyDADMAC 40%,Wet strenght agent 12.5%/25%, Styrene Acrylic Copolymer, Fixing Agent 50%, Poly Aluminium Chloride, Sodium Gluconate Oxidized Starch,ect. Looking for ideal Cationizing Reagent Manufacturer & supplier ? We have a wide selection at great prices to help you get creative. 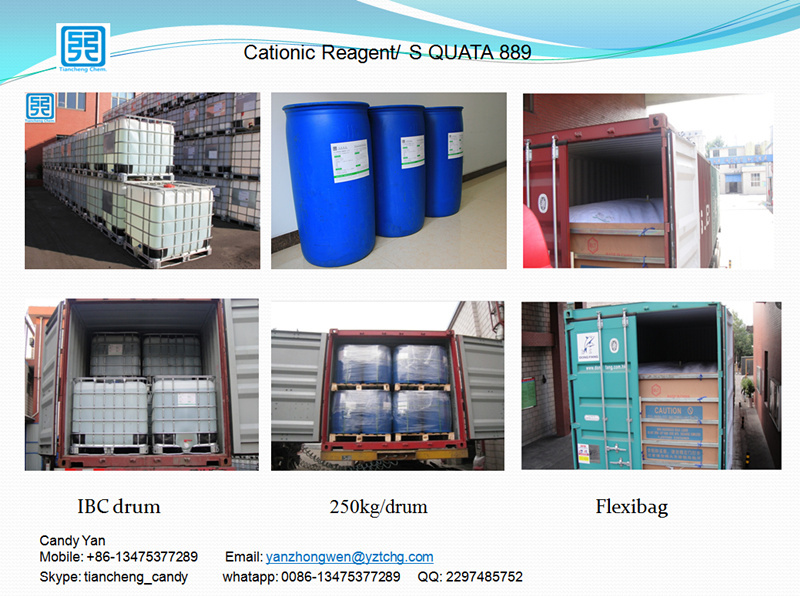 All the 69% Cationizing Reagent are quality guaranteed. We are China Origin Factory of Cationizing Reagecns. If you have any question, please feel free to contact us.